Why wouldn’t you want these? This is one for all those times you’ve looked down at your plain, boring socks and thought “you know what would make these better? My good pal’s face plastered all over them”. Well fear not, Prezzybox are now making that a possibility, for those times that you’re missing your mate, all you’ve got to do is look down. Is this weirder than the duvet set that you can also get your mate’s face all over? We’ll let you be the judge of that. Or you could just go straight up, off-the-wall crazy and start printing the face of your closest friends all over your belongings. “These overstated socks are sure to raise some eyebrows! A hilarious gift for any friend or loved one, they wont be expecting to open this! Made from soft poly cotton, available in three sizes and a choice of colours – you cant go wrong. 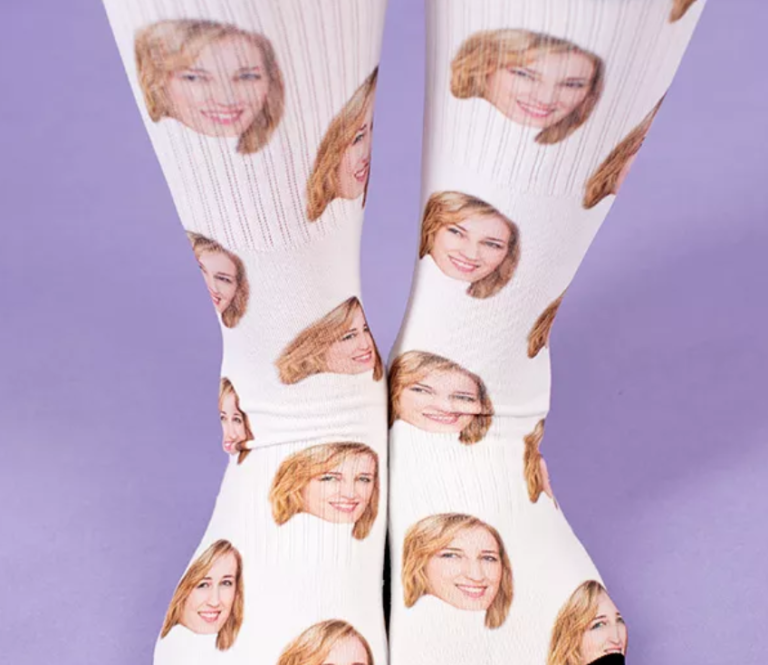 Or get your own face printed all over them and give your mate the best / most questionable secret Santa they’ll likely ever receive? Just watch their face light up. The socks retail at £19.99 which may seem a little steep, but can you really put a price on genuine, unadulterated happiness? No you can’t.